If you have a current subscription to an individual product such as AutoCAD, Civil 3D, Revit, Inventor Professional, 3ds Max or Maya, or are a current Collections customer, you can subscribe for 3 years and save 10%. At time of renewal, you can choose to move to subscription for the same cost as your maintenance plan renewal—or switch to an industry collection at a special price. Learn more about the benefits of subscribing here. Learn more about industry collections here. 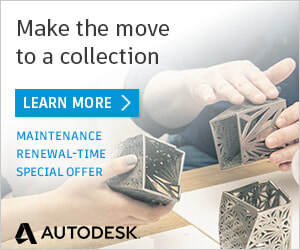 In June, Autodesk announced that they’re extending their price commitment to 2028 for customers who continue to renew after they switch to subscription. The special Move to Subscription renewal SRP will increase by no more than 5% in 2021, 2023, 2025, and 2027. There will be no change to the renewal SRP in 2022, 2024, 2026 and 2028*. *Actual pricing may vary due to the impacts of currency fluctuations. Pricing commitments apply only to seats moved to subscription from maintenance pursuant to a Move to Subscription offer. This price commitment is subject to product availability and does not apply to: i) new subscriptions purchased by customer; ii) switched subscriptions (i.e., permitted switches from a subscription for one product to a subscription for another product), or iii) substitute or successor subscription products. Contact your MESA Sales Engineer today! Call toll-free 888.301.6372. 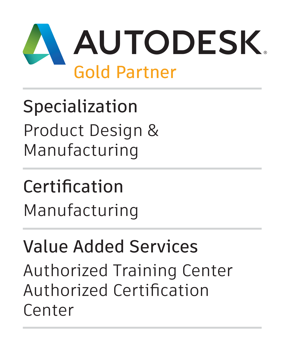 Autodesk, the Autodesk logo, 3ds Max, AutoCAD, AutoCAD LT, Civil 3D, Inventor, Maya, Revit, and Revit LT are registered trademarks or trademarks of Autodesk, Inc., and/or its subsidiaries and/or affiliates in the USA and/or other countries. All other brand names, product names, or trademarks belong to their respective holders. Autodesk reserves the right to alter product and services offerings, and specifications and pricing at any time without notice, and is not responsible for typographical or graphical errors that may appear in this document.